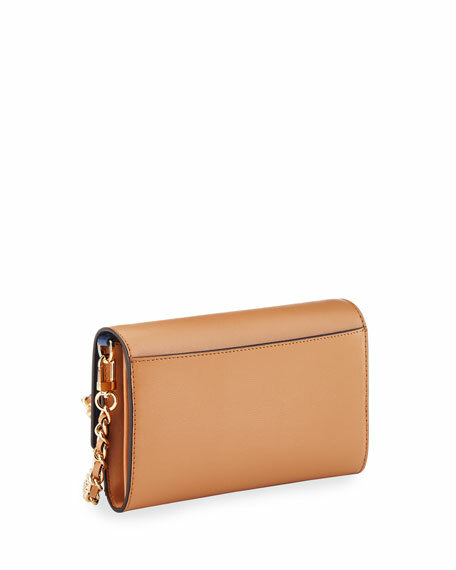 Tory Burch leather coated wallet with golden hardware. 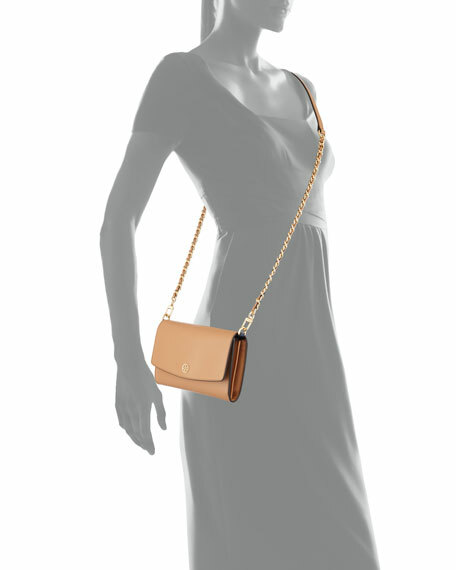 Removable woven chain/leather crossbody strap, 23" drop. Rounded flap top with snap closure; logo at center front. Exterior, back slip pocket; zip pocket under flap. Divided interior; 16 card slots; two bill slots. 5"H x 7.8"W x 1"D.
For in-store inquiries, use sku #2018967.